Roll-out strategy? What roll-out strategy! If you still haven’t received the very latest and distinctly beautiful Windows 10 installation notification, not a thing to worry about as we know how you can get it right now! 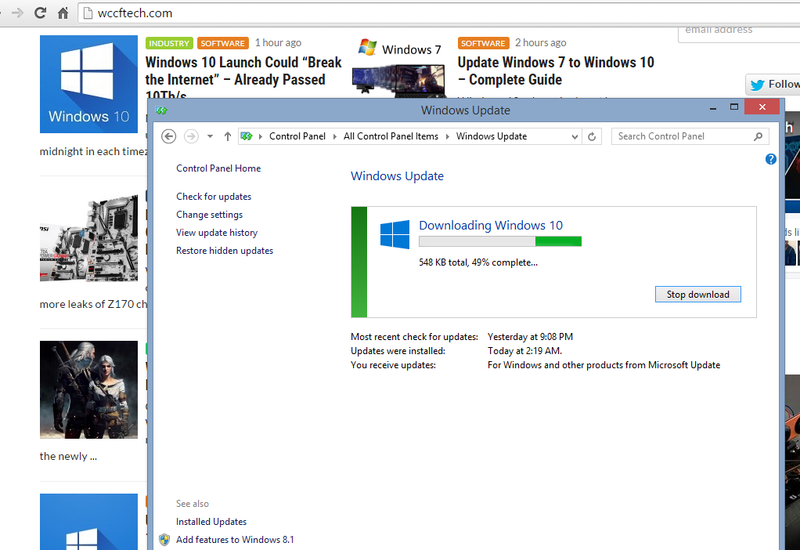 Download and install Windows 10! Yes, we told you that Microsoft is not going to send the Windows 10 update to everyone immediately and in fact the roll out strategy seeds out the updates in multiple waves. However, it seems like you can get the update in the very first wave even if you aren’t an Insider. Microsoft had promised that Insiders would be first in line and while we believed in their luck, ours is no worse! If you are wondering how you can taste the tantalizing Windows 10 on the very first day of its launch, here’s what to do. You can confirm the latest Windows 10 being downloaded in the Windows Update. You might have to check for updates or restart your PC (going by the comments in the original Reddit thread) but it worked for me without doing anything but typing the string in the Command Prompt. Don’t forget that this will only work if you have already reserved a copy of Windows 10. Once the download is complete, you’ll be notified for installation. You can decide to schedule at some other time or install it right away. Considering the heavy load on Content Delivery Networks (CDNs), expect super slow speed of downloads and be patient as there’s nothing wrong with your computer or anything else. Analysts had already reported that we should expect to see some performance issues with internet as Microsoft reserves some 40 Tbps for rolling out its Windows 10 to consumers. When you decide to install Windows 10 on your computer (regardless of receiving the notification from Microsoft or doing it manually through the aforementioned string), simply go to Windows Update and follow through the steps. It’s nothing but clicking to agree the Legal stuff, clicking Next on the Your upgrade is ready to install popup and the next few screens afterwards. Once done, click on Start the upgrade now and let your computer take care of itself. This is a good time to get yourself some coffee as the installation process will take from 20 minutes to around an hour, and a lot of battery. Patience is the key, my friends. Don’t forget to check the minimum System Requirements to make sure your computer can handle Windows 10. Prepare your computer for the Windows 10 installation with preparatory updates and more. Backup is the key! Remember, you won’t lose your programs or apps but it’s always recommended to keep a backup when you are going with a system update. 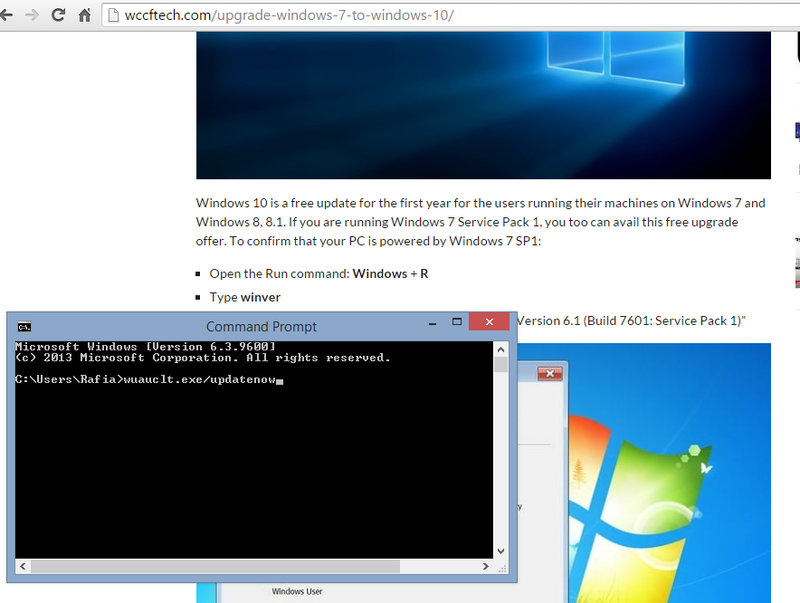 We hope you have successfully managed to download Windows 10; installation is super easy. Let us know if you like the new look of the operating system. Wait, don’t forget to tell us if you have fallen for Cortana already. The post Download and Install Windows 10 Right Now, Anywhere in the World by Shaikh Rafia appeared first on WCCFtech.